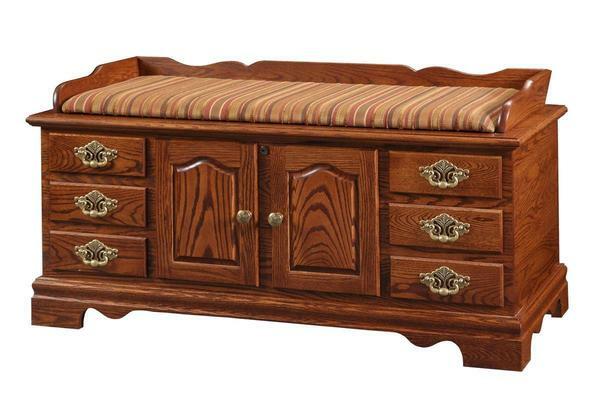 This Hope Chest is part of our Seat Rail Series which are ideal for the foot of your bed. The optional softly padded top of this Hope Chest doubles for extra seating space. Our Fancy Front Hope Chest has a simulated door and drawer fronts. This Amish chest is crafted from solid oak wood and has an aromatic cedar bottom. You will have plenty of storage with 6.8 cu. ft. of storage. This chest measures 46" long by 20" wide by 24 1/2" high.